Welcome back Bookworms! I've taken quite a long break from my Top Ten Tuesday's but I am now back once again to bring you one that I am absolutely sure you will love! I know this one is not exactly book related, but they are bookish items that I would have with me, and that literally anyone can use! They say age is just a number, and to be honest, whether you are a pre-teen to an adult like myself, I think that these products are great to use! So lets get started! Realistically, this is more than just a book bag. I use this bag for everything, whether it's my books, my wallet, or even just a bag to take all my beach essentials in! It's 100% Canvas and is about 15" x 27". I find the straps to be fairly strong enough (I mean I do collect a lot of heavy books) so if you need something strong enough to carry items, this would be it! 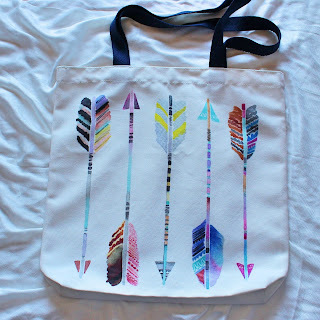 I'm also a fan of Arrows, and these are some pretty amazing prints on this tote! I LOVE this mug! Honestly, if you all know me, you'll know I have a slight (huge) obsession with collecting mugs. about 98% of my mugs come from Chapters Indigo, so there's not question about these! This is a 16-oz mug with a wide handle. 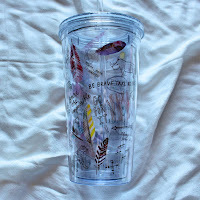 A pretty awesome coloured mug (I would love Indigo to have more coloured mugs!) which says "Enjoy the journey" and "Make your own path" along with the Elephant and "Be brave, take risks" This mug is dishwasher and microwave safe. 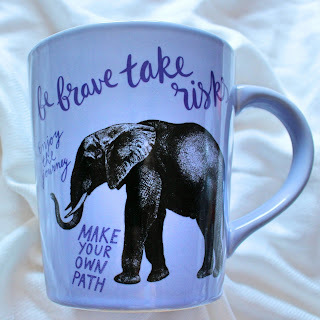 I love to drink coffee, hot chocolate or tea in the morning before work, and these mugs are perfect for doing so! 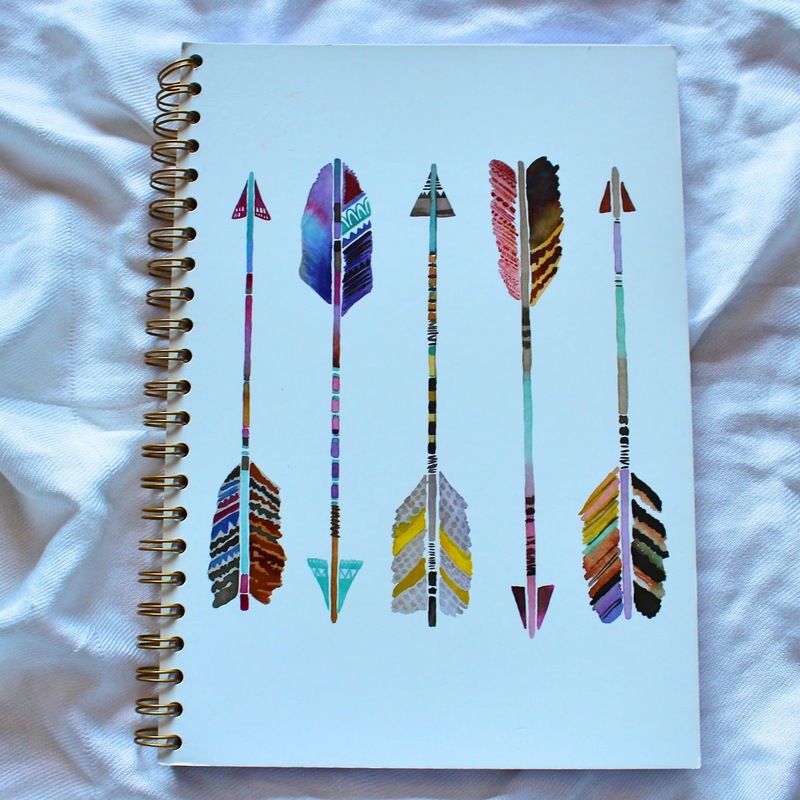 Can I just tell you how amazing these notebooks are? I normally collect the Embossed Journals from Indigo which are amazing, but these notebooks are seriously #Goals for school or work! 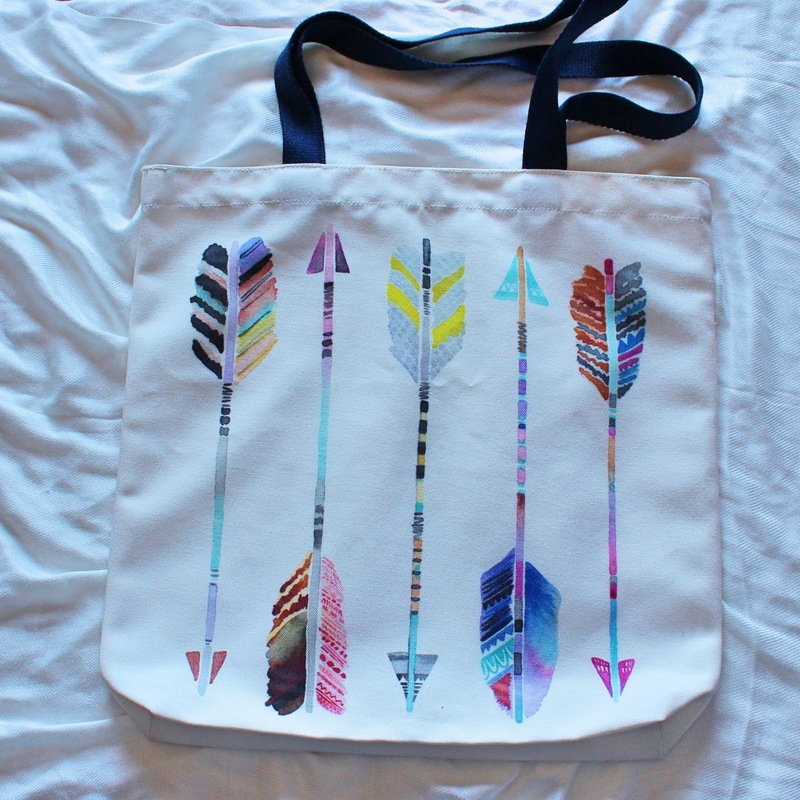 They are 8" x 11" and are so large, you could fit it into your Tote from above! I personally don't need them for school, but they are a 3 subject/ 3 dividers to help keep you organized. 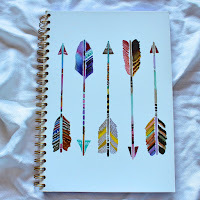 The link in the title is for the quoted notebook, but if you want to look at just the arrow one, click here. 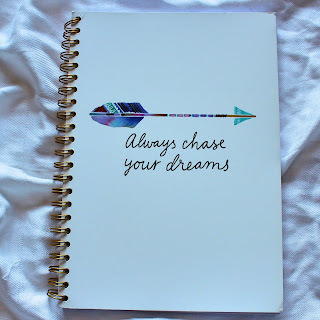 I love the spirals on these notebooks, as they really help you work easier, with lying it flat. I know that most of you are probably thinking "what about an agenda?!" I have gotten into the whole bullet journaling recently, so these notebooks would work perfectly for that! If you want to get an actual agenda, Indigo has some great ones right here. 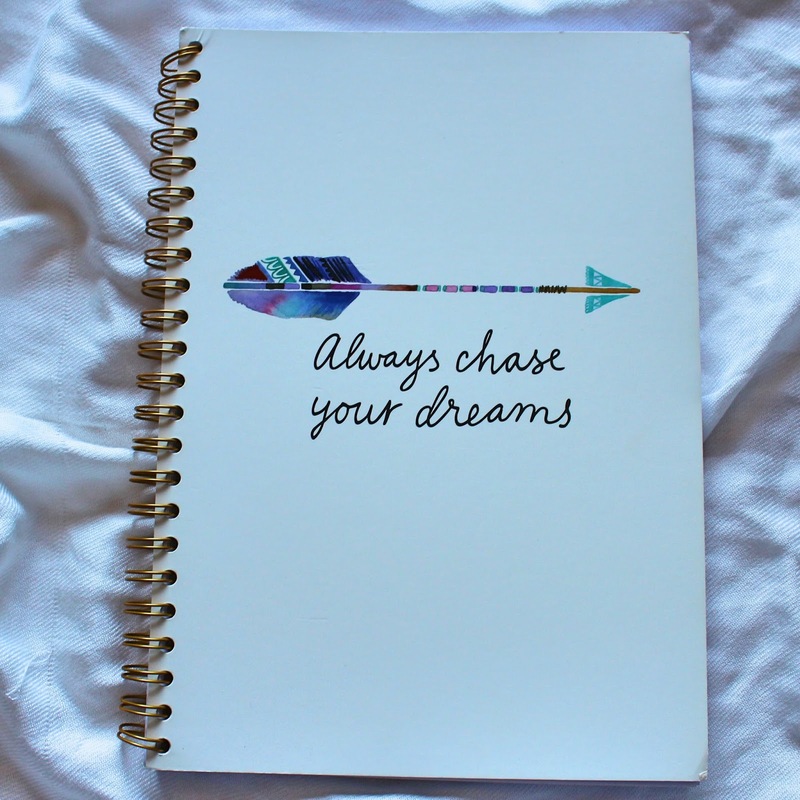 The perforated edges also make the notebook easy to remove pages if needed! It's very simple yet visually appealing without being too distracting! 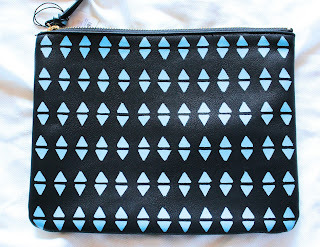 This travel pouch can be used for basically anything! Toiletries, make-up, cash, or even your school supplies like pend, pencils, your phone, keys, and charger! This pouch is a large 9" x 7.5". The inside is 100% Polyester and the shell is 100% Polyurethane. 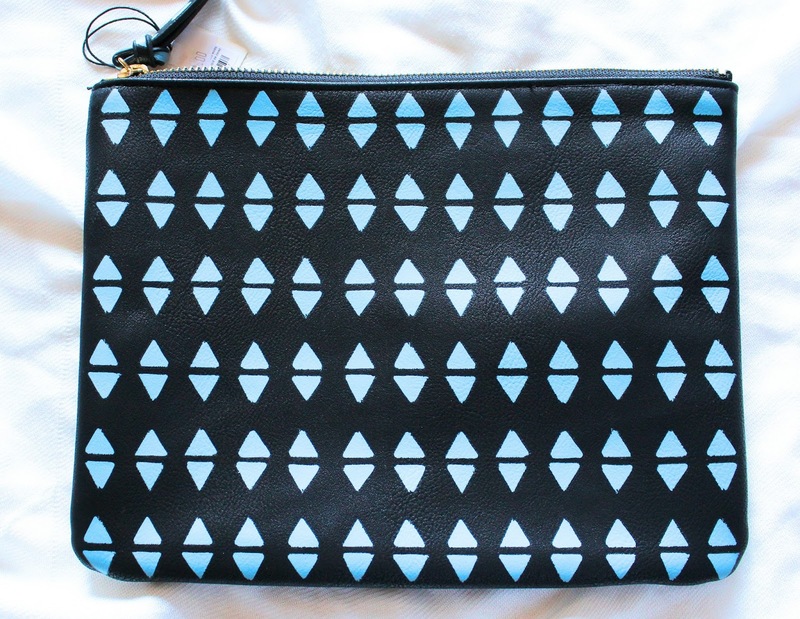 I really like the simple blue triangle design on it with the black background. You could definitely store this inside a tote. The gold zipper is super sleek and easy to use (not getting caught at all!) If you happen to spill, just spot clean it, and you should be okay! I remember when I was in elementary school, I was OBSESSED with gel pens! 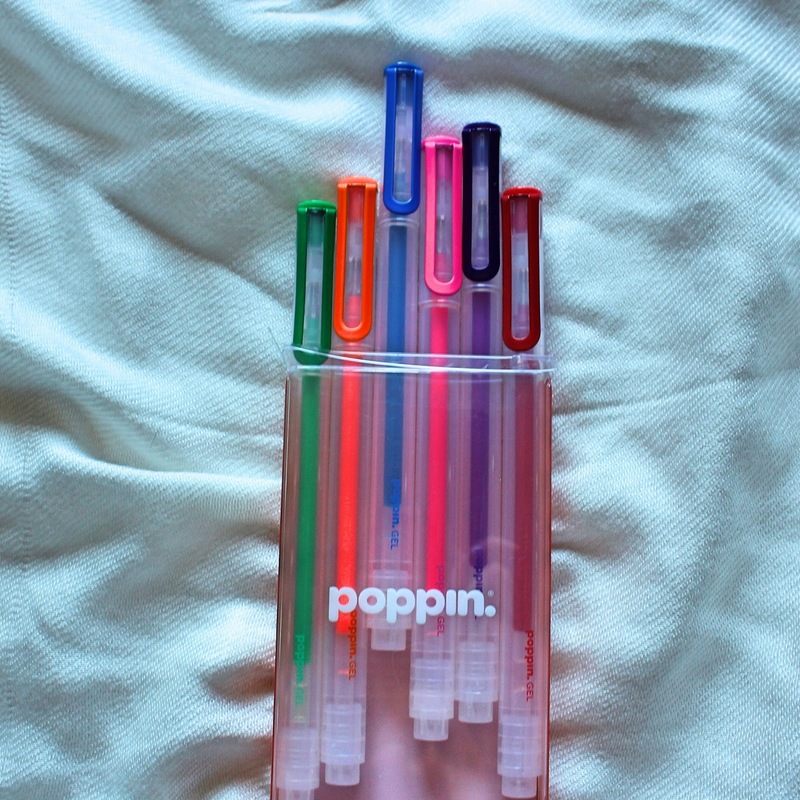 I had the full out 62 pack of pens, with a really cool (I thought it was cool) plastic case to store it in. I grew out of the phase, but they sure are coming back! These pens are a new adult stylish form of those gel pens many of us remember back then. 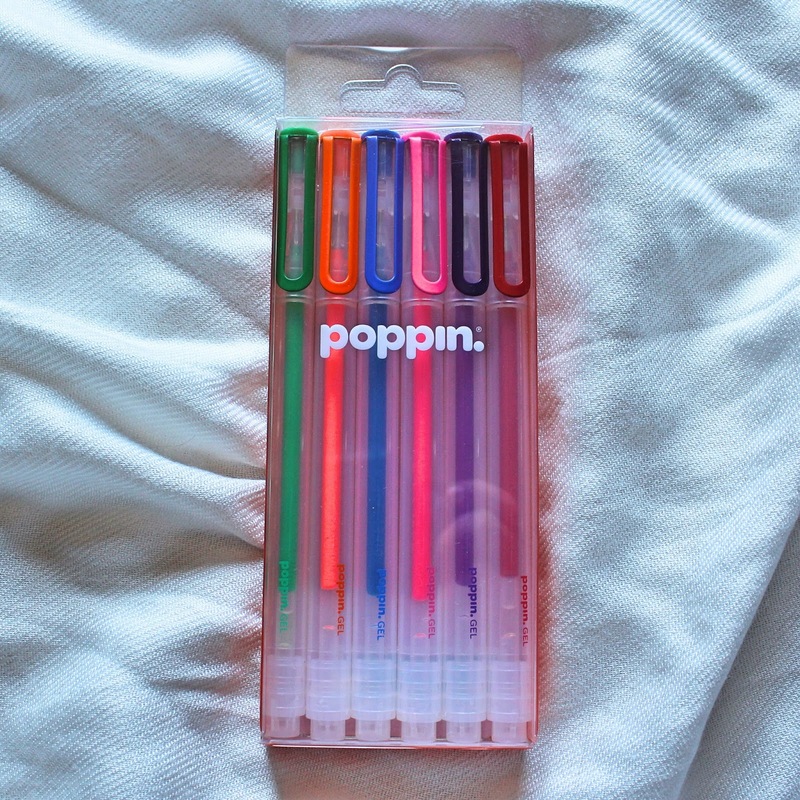 I really love the simplicity of Poppin. All of their products are super sleek and very simple, yet sophisticated. This is a pack of 6 clear-bodied pens. They also have a metal clip that can easily attach to a notebook, or store in a pouch. I tested out each colour, and I really liked how easy it was for me to write and glide over the page! 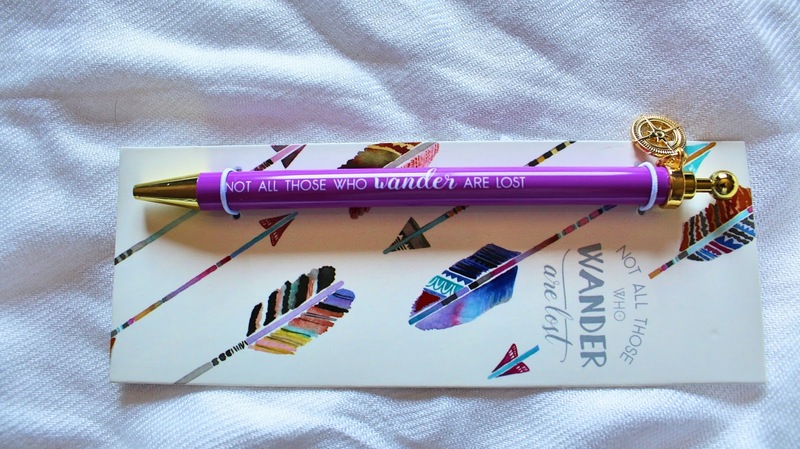 Be sure there are no sparkled pens in this batch, but they are great for everyone! 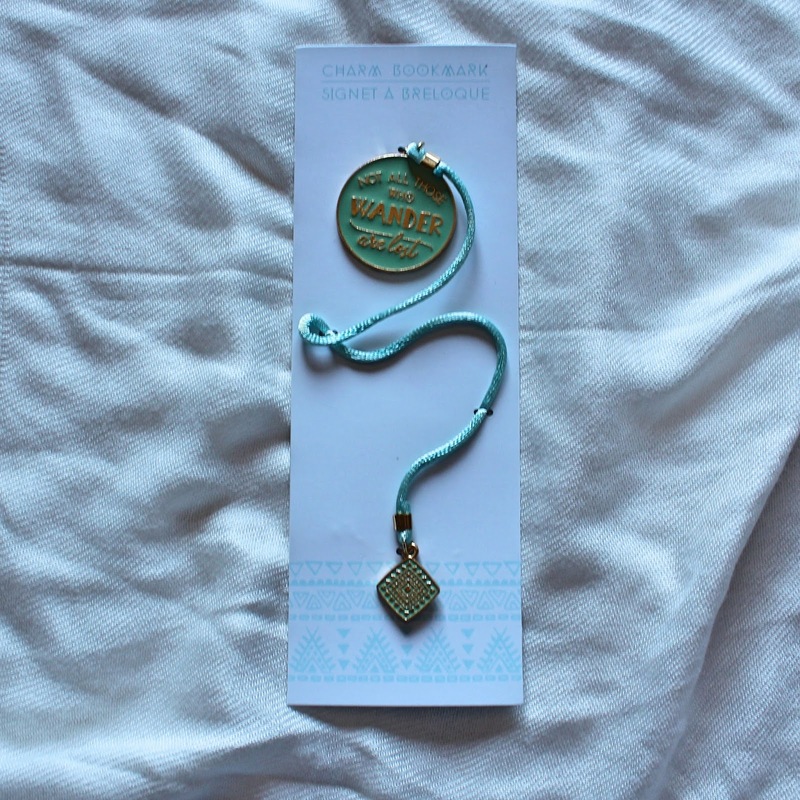 I am such a fan of the Letterpress bookmarks! It's my general go-to for bookmarks, and I really love the look of them! 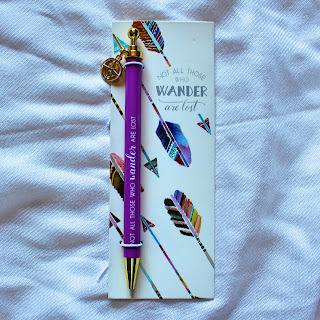 Indigo has a HUGE selection of these kinds of bookmarks, and I collect a lot and even get tons more for my giveaways that I do. 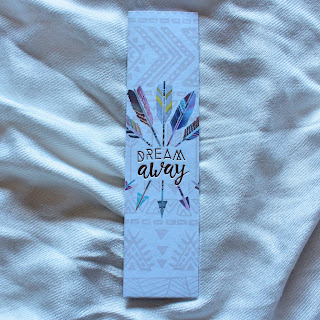 This is another Arrow Bookmark that says "Dream Away" Nothing like some inspiration while reading a book! This is a standard bookmark 1.75" x 7". The colours are very vibrant as well, so they are great for photos! Super lightweight and very sturdy, you're sure to not lose your page! Another thing I am a fan and collector of...Pens! 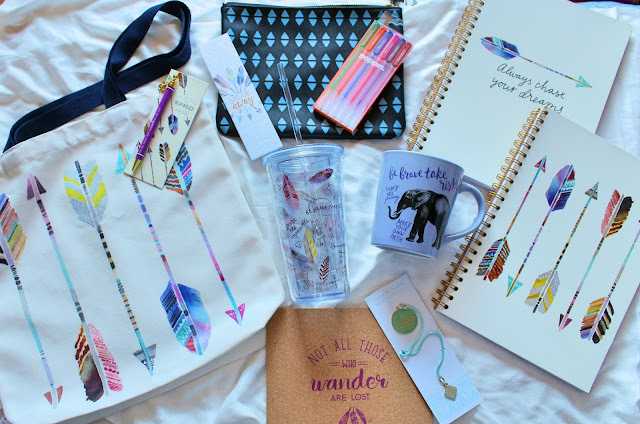 Stationary is something that everyone needs whether they are working on their homework, keeping notes, or writing their next novel! 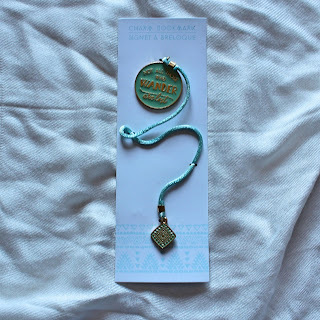 I love the charm pens, because they are always inspiring and have a cute little charm on the end! 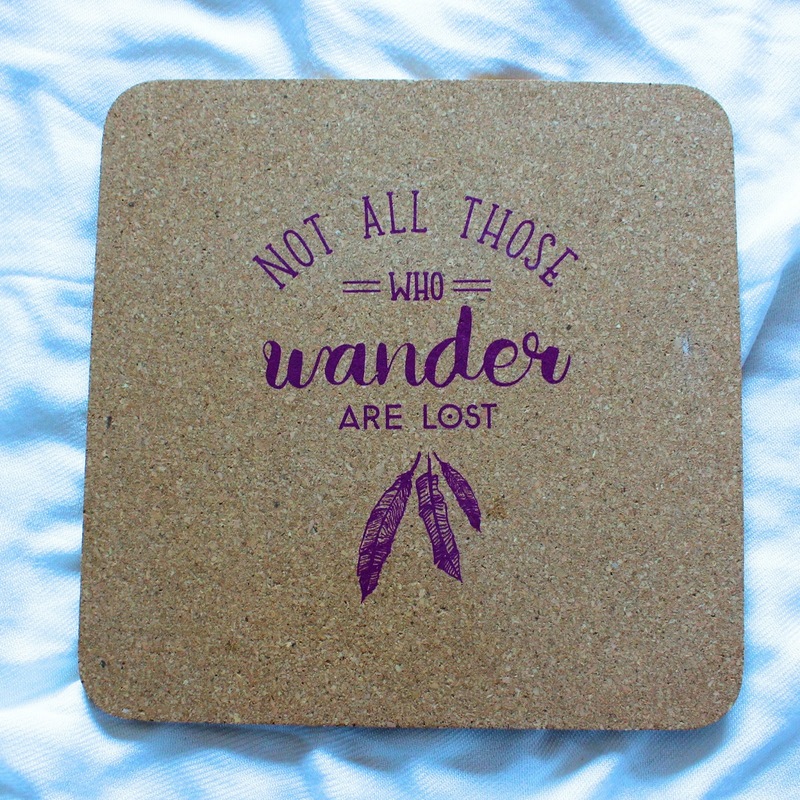 This one has a compass and says "Not all those who wander are lost." It can be refilled, and will fit the standard pen size. The retractable tip is very smooth and easy to use, and personally, I think that it just adds a little more flare for when you're writing! This picture is a little hard to judge, but it's a great colour, with a pop of purple! I have been looking for a mousepad to use for a while, and when I found this one, I just had to get it! Super sleek, doesn't get stuck on the mouse, and very thin! 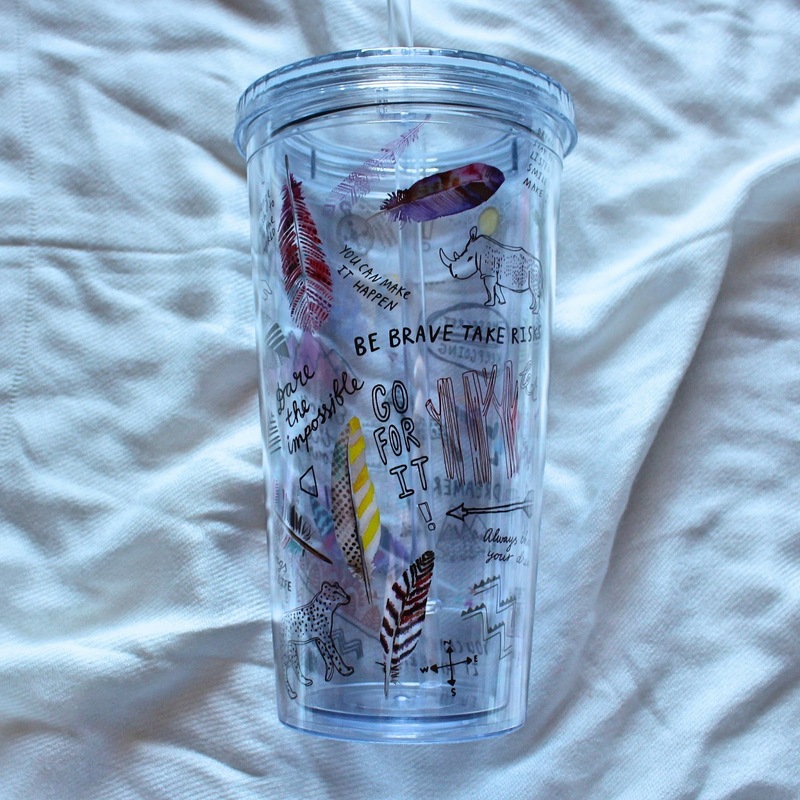 It's perfectly fitting within the rest of these items, and can be used in your dorm, or at work/office. 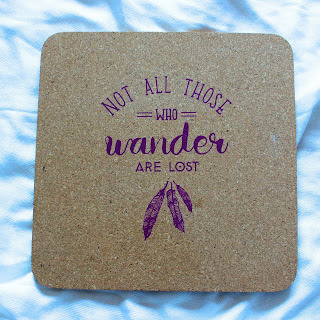 A simple 8" x 8" cork mousepad. I love how simple it is, and how easy it is to use! There are many others that Indigo have, but this one is one of my favourites! This post is so cute! I love the items you chose for this list! Thank you!! I think that for any age, these items are pretty amazing, and definitely designed really well!! As a person who also adores pretty paper and stationary I can appreciate the inspirational aspect of these pieces in your selection. There is a deeper appreciation for what you are doing when using products that you enjoy such as these. 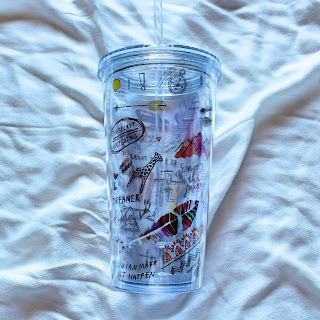 The practicality of the cold cup also suggests a responsible way to travel without creating any unnecessary waste of disposable water/soda bottles, and that, my friend, is commendable.